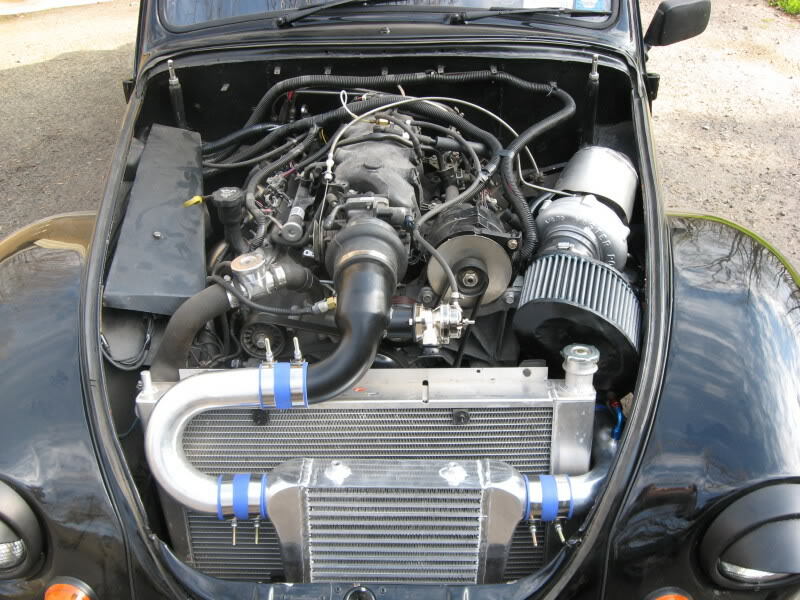 A member off LS1Tech forums created a VW Beetle which is powered by a turbocharged 5.3 L V8 engine. Boost is provided by a Master Power T70 turbocharger. The engine runs off a Megasquirt ECU and a MSD 6010. The Bug sits on a custom boxed frame that was made previously for a smaller engine. There is no telling how much horsepower this puts down but I am sure it is more than enough. Check out below the videos and images. Im looking to do the same with a beetle. 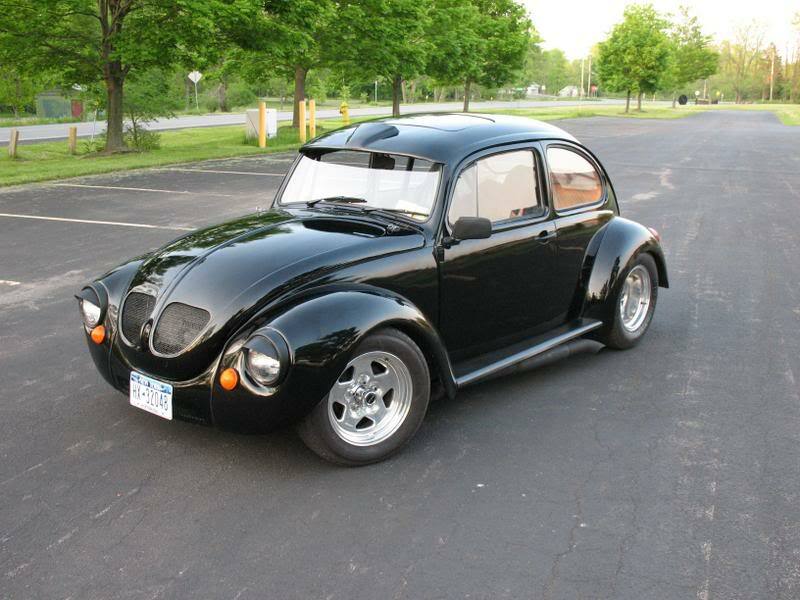 I wondereed if you could tell me how much this cost and what type, and brands of everything that is in your bug. I want a small car that can pull up to a vette and waste em’ and forget about all that tuner stuff this is purly muscle. I am 17 and I recently got a ’57 VW Baja bug. I was wondering if you could offer any advice on how to make something like that possible on a car like mine. Any advice would be greatly appreciated. Thank you. 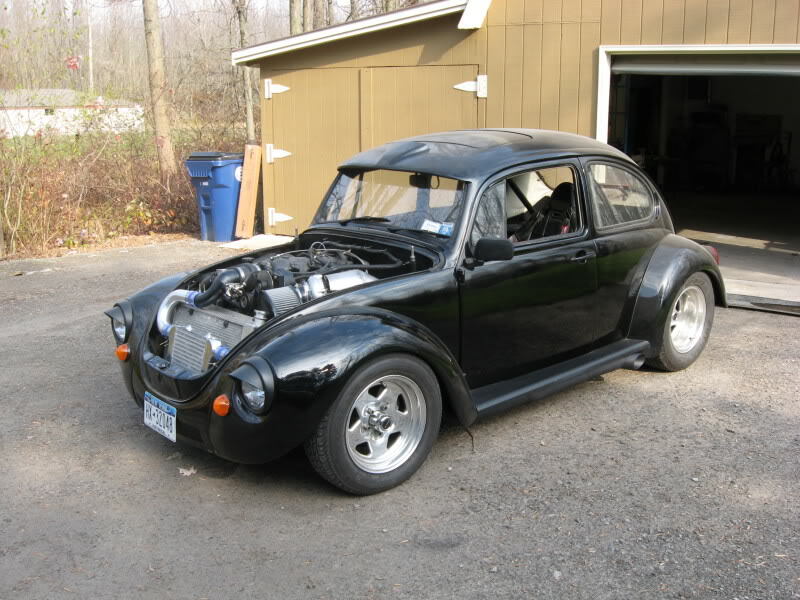 im hopefully getting a vw 1303 superbeetle and want a very high powered 1.3 engine for it, could you please let me know what that engine can be, if it would need a conversion and how much would it be for the conversion? 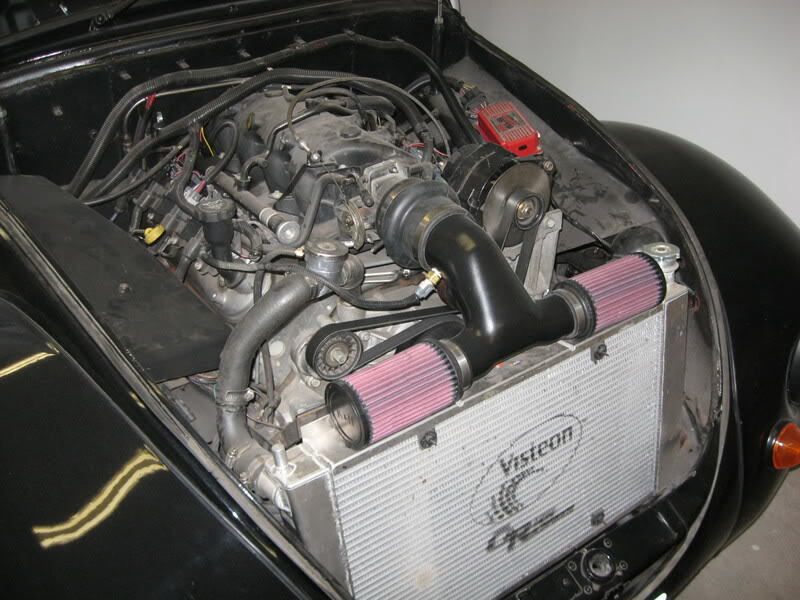 Mack and Gabe, If you are interested in putting a V8 in a Beetle, I would suggest you sign up to the LS1Tech forum. There is a ton of help on that website. Lmfao!! Not sure how u figure that!!!! i don’t think so!! It could be done but u would need do some serious work to VW motor to make it as quick n fast as this!! Even with a turbo! I really doubt u could even do it with the stock motor at all!! Need a totally purpose built aftermarket caster motor!! U can get impressive power out of a VW but this motor is probably over 500-550 horsepower minimal! And they are cheap to build! Even if u could, it’s just another bug!! Taylor: Maybe so, but would it be as awesome? Heck no! Put a Ford or Continental style front end kit on it and it’s bad to the bone. I’m interested to know what kind of transmission it has. elle est vriment trÃ©s bien faite ,tu un profitionnel,moi j’ai une coxi et je veux la tuner,j’Ã©merais bien que tu me donne un peut d’idais,than you. it is very good,could you chow me somme idiers to pimp my beetle?than you. Then he would just have another bug. How many V8 bugs, much less with boost, do you see? Maybe he also wanted to do a complete build up. Maybe he doesn’t like the sound of a farty 4 cylinder. Perhaps he thought about a different V8 build, but found using a bug body inexpensive. I like the v8 thought, do you need new panels for the front to make it longer? The cheapest and most easy way to put a V8 in a bug is to use a Chevy S10 frame, all that needs done is to shorten the frame at the back. I would narrow it at the same time for larger rear tires.